HOUSTON (KTRK) -- The United States Department of Agriculture announced Friday that 195,597 pounds of P.F. 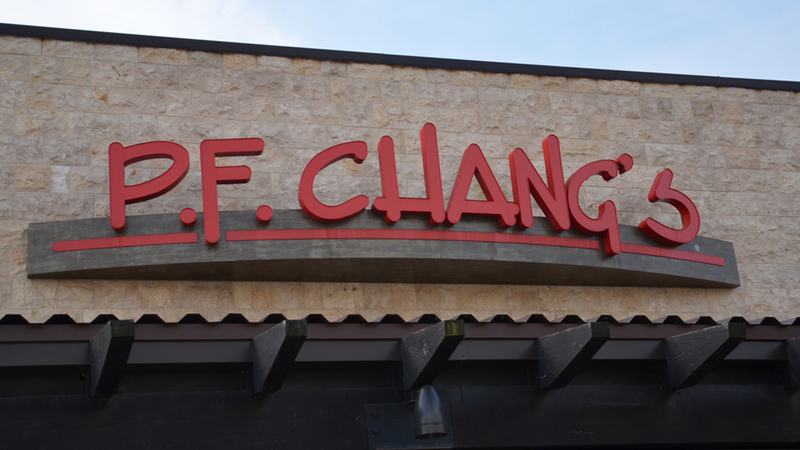 Chang's frozen chicken and beef entree products are being recalled due to possible contamination from metal fragments. The metal fragments possibly are curled, malleable and shiny and are between 2 and 9 millimeters in diameter and could be embedded in the sauce contained in frozen meals. The recall is an expansion of another recall issued June 6. 22-oz. plastic bagged meal packages of "P.F. Chang's Home Menu Signature Spicy Chicken" with "Use By" date of 6/08/17 and case code 5006616500. 22-oz. plastic bagged meal packages of "P.F. Chang's Home Menu Mongolian Style Beef" with "Use By" date of 6/17/17 and case code 5006617400. 22-oz. plastic bagged meal packages of "P.F. Chang's Home Menu Mongolian Style Beef" with "Use By" date of 6/1/17 and case code 5006615800. 22-oz. plastic bagged meal packages of "P.F. Chang's Home Menu Beef with Broccoli" with "Use By" date of 6/4/17 and case code 5006616100. 22-oz. plastic bagged meal packages of "P.F. Chang's Home Menu Sweet & Sour Chicken" with "Use By" date of 6/3/17 and case code 5006616000. 22-oz. plastic bagged meal packages of "P.F. Chang's Home Menu General Chang's Chicken" with "Use By" date of 6/3/17 and case code 5006616000. 22-oz. plastic bagged meal packages of "P.F. Chang's Home Menu Garlic Chicken with Dan Dan Noodles" with "Use By" date of 6/8/17 and case code 5006616500. 22-oz. plastic bagged meal packages of "P.F. Chang's Home Menu Grilled Chicken Teriyaki with Lo Mein Noodles" with "Use By" date of 6/10/17 and case code 5006616700. 22-oz. plastic bagged meal packages of "P.F. Chang's Home Menu Signature Spicy Chicken" with "Use By" date of 5/26/17 and case code 5006615200. "The problem was initially discovered on July 1, 2016, when an establishment employee observed metal fragments while dispensing sugar from a supplier for sauce formulation during processing," a news release said. There have been no confirmed reports of adverse reactions or injuries due to consumption.